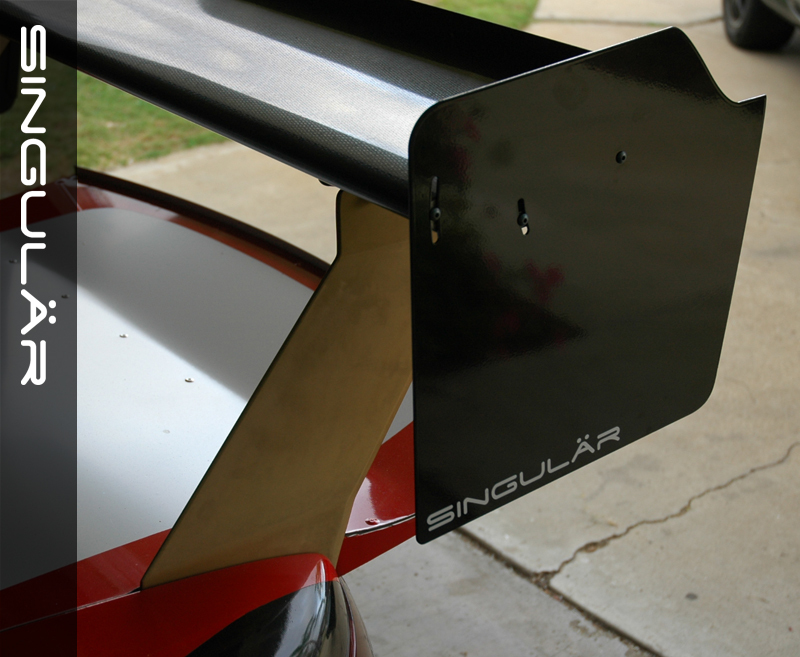 Singular Motorsports Endplates GROUP BUY - Miata Turbo Forum - Boost cars, acquire cats. 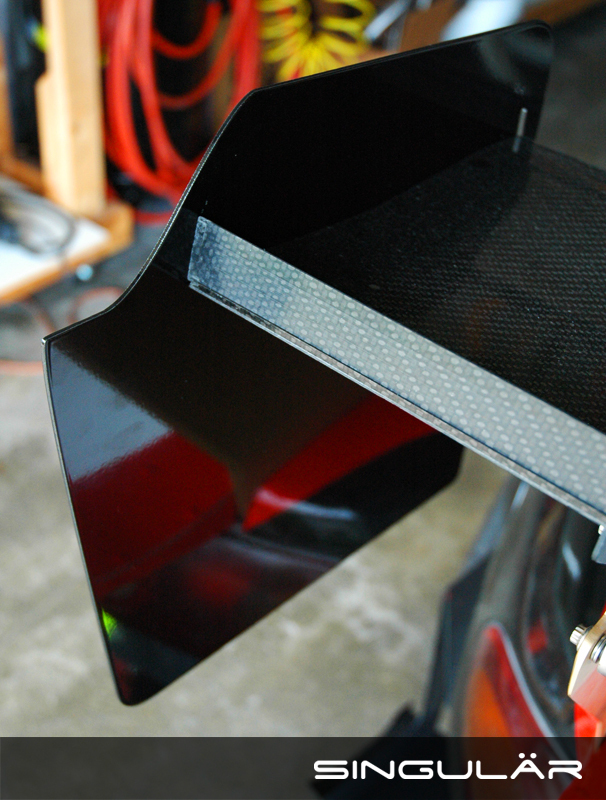 Add endplates + decrease angle of attack = same downforce with less drag! Drill-It-Yourself - if you have a different wing and want our endplate good-ness, secure a spot in the group buy and then with some info/measurements from you, we will determine which of our endplate variants is the best fit and send you them undrilled - just drill holes and mount! ALL variations are available in full-height OR in a NASA “zero-point” height. The NASA versions are shortened slightly to 11 ⅞” tall (NASA TT/PT allots additional points for endplates taller than 12”) Only applied to those competing in TT/PT. Shipping: $15 within continental US / $20 for multiple sets. Pick-up in San Diego, CA is available. Deposit: A $50 deposit is required to put your name on the list and the remaining total is due when the group buy closes. Minimum for the group buy is 10. Maximum for the group buy is 20. The group buy closes on November 7th or when we hit the maximum, whichever comes first. We estimate conservatively and aim to beat it. Tentative ship date is 2 weeks after the group buy closes. Feel free to share this on other forums or with friends who may be interested, we’re only vendors on MT, but more people finding out about this helps you get yours faster! Last edited by ThePass; 12-02-2014 at 12:17 AM. Last edited by Lincoln Logs; 11-06-2014 at 02:06 AM. Yup, espresso hadn't kicked in yet, incoming. This group buy is for all wing models EXCEPT the GTC-200. 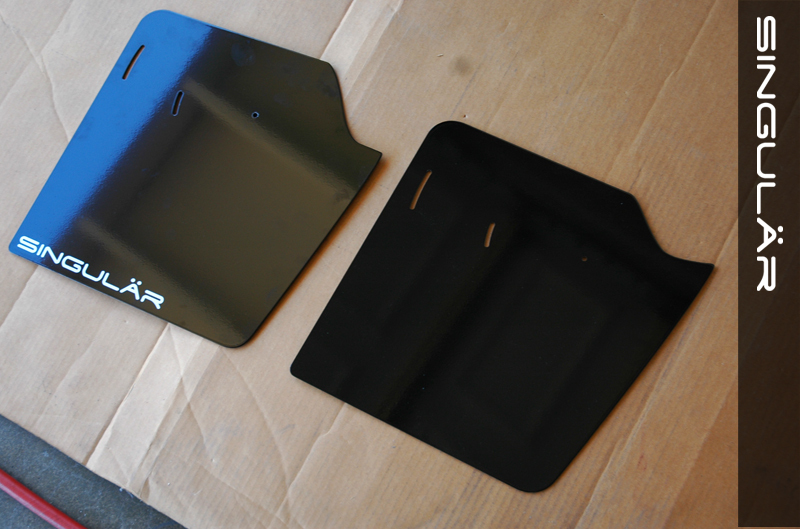 We are going straight into production for APR GTC-200 endplates and those will be available full-time soon. Sorry if this is confusing. Refunds will be issued if we receive a deposit for the GTC-200 model. At this time there are no production plans for our endplates for all the other various wing models that this group buy covers (If they are, they won't be at this price) so that is the purpose of this group buy. Last edited by ThePass; 10-24-2014 at 10:33 PM. Deposit made for COT with NASA Zero point. Thanks! Count me for a COT set. I forgot to mention that as is becoming tradition for our group buys, these will come with Singular Motorsports Miata Turbo-only decals. Clarification on what the difference is between standard and NASA height? NASA PT/TT allots additional points to endplates that are over 12" high. So our NASA "zero-point" endplates are 11 7/8" to maximize height within those rules without being alotted additional points (~2" shorter than the standard ones - varies a bit depending on which of the designs we're talking about). Because height is the only dimension regulated in that ruleset, some of that surface area lost in height is shifted to the length - these versions are ~1" longer on the trailing edge side to still provide as much of a performance boost as possible within the ruleset. Both our standard size and NASA zero-point versions fall under the 200 sq. inch restrictions that some SCCA classes have. I should also add that there isn't much need to stress over which version to get - the difference between them is marginal compared to the improvements over the standard-issue endplates which is dramatic. Last edited by ThePass; 10-25-2014 at 06:36 PM. In for full CoT plates. Will get payment sent pronto. Deposit received, you've been added to this list. Thanks! In for COT set, deposit sent. 8 so far, thank you to those who are in! Considering extending the deadline one week, these are certainly niche parts as most winged miatas are running the more common GTC-200, and I want to be sure nobody misses out on this who would want in. If you guys know of other communities or people who are track/race oriented who may be interested, put a link up there! Deposit sent, COT wing, full height.